Hello Coffin Hoppers! And Happy Halloween (well, very soon, anyways)! Welcome to my corner of the hop. Below is my giveaway - easy to enter, breezy to win! 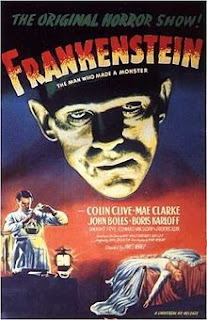 And below that, a compiling of my favorite lines from horror and science fiction movies, in no particular order. You'll find some movies repeated. Brilliant lines just ooze from some films, don't they? 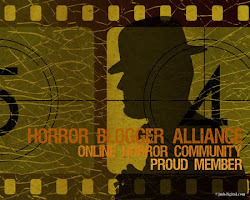 At the bottom of the post are the Coffin Hop's "Gory Details" and a link to hop back to the main list of participating blogs. So grab a cup of hot cocoa in your favorite skull mug, lock the windows, check your closets (make sure to get way back, where the darkness bunches), and have a seat - the horror is about to begin. Oh, and here is a pic of the giveaway's grand prize - a custom-made vampire stake! 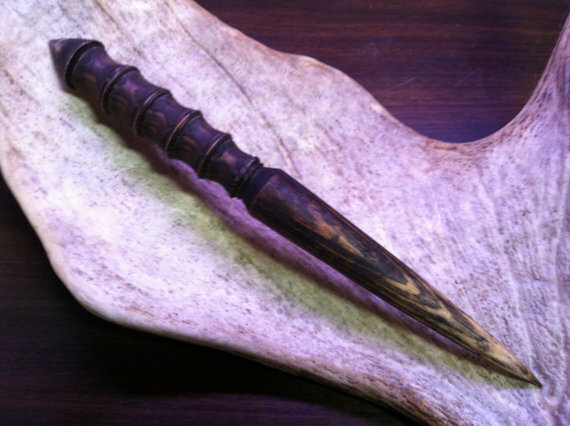 It's 12 7/8" in length, pine, hand-turned and hand-stained. And watch out - that point is sharp! "I'm your boyfriend now!" 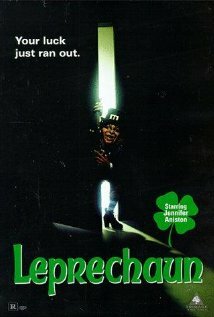 (Freddy to Nancy, original "Nightmare on Elm St." or "Whatever it is, it's weird and pissed off!" (Clark to rest of station, "The Thing" 1982 version.) 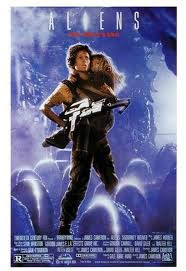 or basically every one of Hudson's lines in "Aliens." I *love* DRAG ME TO HELL, and was really surprised it didn't get a bigger fanfare following. Glad you quoted it! 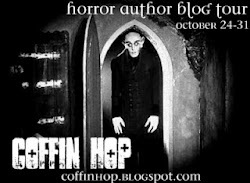 Happy Coffin Hoppin'! LOVED reading those lines again! Very fun stuff, and a great reminder that I really want to see some of those movies again! WOW, you compiled one hell of a list! You managed to get most of my favs in there too. Happy Hopping! 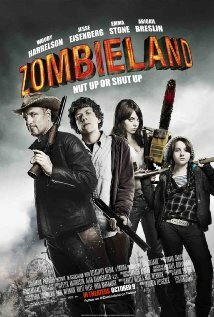 Good stuff -- Zombieland was a lot of fun. Enjoy the hop! 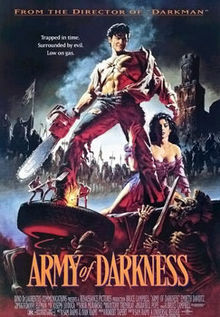 A great list of movie lines, especially love the Army of Darkness quotes. you make me wanna watch movies!! Such a shame I don't speak Swedish, I would have given you my favorite line from the original version of Let the Right One In! Best prize and best #CoffinHop post so far!! Congratulations!! My favorite quotes are numbers 7, 17 and 38! I never enter those rafflecopters, but I am this time! I'm happy you made the exception! I know it's cliche for the hipsters to say (+1 for unintentional rhyming skills?) but I gotta go with the 1982 version of THE THING. Every time. Great post and amazing contest, Beck. Very glad to have you with us. Happy Hopping! Did I not include any lines from The Thing? For shame! Am going to make this a Top 100 at some point...thanks for stopping by, Axel! 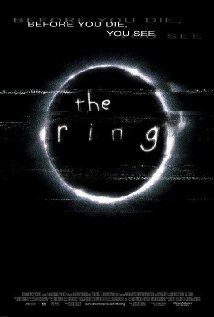 My favorite scary movie is "Poltergeist." It still scares the bejesus out of me! Hmm I posted a comment earlier. I don't know why it didn't register. Anyway, I enjoyed the list! "Poltergeist" is my favorite horror movie and always will be. Awesome! Had trouble narrowing it down to 2 quotes from Army of Darkness. There are SO many good ones! "Shop smart. Shop S-Mart." A Nightmare on Elm Street!!!!!!! My favorite scary movie will ALWAYS be Halloween! That movie is just creepy and twisted and awesome! Favorite scary movie is Skeleton Key. The Shining. and Cujo was really bad. Love the list. 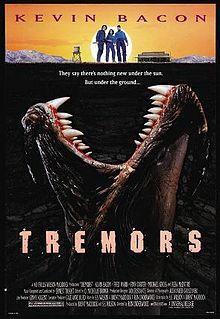 I've never seen Tremors. I might have to now. That's a hell of a line. Haven't seen They Live in forever, but I remember that one. 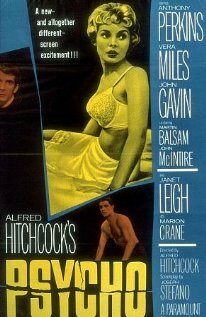 Psycho is great. I practically grew up with The Fog. And you could have grabbed 50 quotes from The Exorcist alone. Great to meet you. New follower. 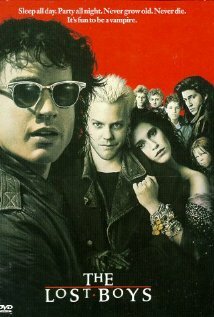 There are so many awesome movies in that list! I have seen most of them, but the few that I haven't, I have now on a list. Thanks for sharing! Hmm, favorite scary movie? The Shining, probably. But as for Halloween movies, yesterday I couldn't help myself and had a mini-marathon of Nightmare Before Christmas and Trick 'r Treat, two of my favorites to put me in the spirit of the season! My fav scary movie is the Exorcist. Cliche as they may be, I am in love with the SAW franchise. Though 5 and 7 were horribly weak, the series still holds a special place in my heart.